DX: QSL via Bureau? Check First! The FCC appears to have ground to a complete halt for all intents and purposes beyond emergencies, as the Federal Government shutdown continues. This includes functions at the Commission's Gettysburg, Pennsylvania, facility, which handles all Amateur Radio licensing transactions, as well as the FCC's main website and the Amateur Radio call sign database (ULS). "We regret the disruption, but during the Federal Government-wide shutdown, the FCC is limited to performing duties that are immediately necessary for the safety of life or the protection of property." a message on the FCC website says. "FCC online systems will not be available until further notice." The Commission refers anyone calling regarding an emergency "affecting the safety of life or the protection of property" to a Washington, DC, number, 202-418-1122, or an e-mail address. Assistant ARRL VEC Manager Perry Green, WY1O, said October 1 that the FCC appeared to have accepted "a small number" of modification and renewal applications, apparently as the shutdown was in process, but it took "far longer than usual" for that to happen. The ARRL VEC did not attempt to file additional applications, and it will hold for filing any applications resulting from Amateur Radio Volunteer Examiner-administered examination sessions. "We have not submitted any VE sessions, which require batch filing and are assigned an FCC filing number," Green added. "At this point, we are unable to file any applications with the FCC, because it has shut down its servers. We do not expect the FCC to resume granting applications until it reopens." Green stressed that the ARRL VEC remains open for business and continues to monitor the situation. The ARRL VEC also is still processing International Amateur Radio Permit (IARP) applications. While the FCC has stopped processing new, renewal or vanity call sign applications for the duration, it is still possible to reserve a 1 x 1 special event call sign, since that is not an FCC function. Green points out that ARRL VEC exam sessions will go on as scheduled, at the option of the sponsors, but the ARRL VEC will not be able to file session paperwork for processing until the shutdown ends and the FCC is back in business again. Green notes that exam session candidates have to put an FCC Registration Number (FRN) on their applications, if they have one. FRNs for current licensees are available via the ARRL's "Call Sign/Name Search" utility on the League's home page. If the FRN is not available or has not yet been issued, applicants may use their Social Security numbers, which candidates must provide to obtain an FRN. "So in this time of shutdown, they will need to submit their SSN on the VE session paperwork and gain their password at a later time," Green explained. "If that is not to their liking, they will have to wait for the FCC to open up again, which I'm sure at some time it will." Radio amateurs whose licenses expire between October 1 and the day after normal FCC operations resume may continue to operate until then, even if they have not yet filed a renewal application. Pending an official FCC announcement that states otherwise, renewal applicants should apply no later than one day after the FCC reopens, if they want to continue to operate. Amateur Radio applicants who passed an upgrade examination may still operate with their new privileges, even if their applications have not been accepted for filing by the FCC. Applicants must have a Certificate of Completion of Examination (CSCE), issued by the VE team. When using their new privileges, such applicants should continue to identify by appending the appropriate designator to their current call signs, ie, /KT for Technician, /AG for General and /AE for Amateur Extra, as noted on the back of the CSCE. If the closing date for comments on an open proceeding falls during the shutdown, comments will be considered timely filed on the day after the Commission reopens for business. In late September the FCC posted a "Plan for Orderly Shutdown" in the event of a federal government shutdown. Only a handful of the FCC's 1754 employees were scheduled to remain on duty, including eight employees "retained to conduct interference detection, mitigation and disaster response operations." Only one "senior management official" in the Wireless Telecommunications Bureau -- which oversees Amateur Radio -- was scheduled to be on duty for the extent of the shutdown. The Commission emphasized earlier that it would not be open for normal operations "during any government-wide shutdown." See "The FCC Shutdown at a Glance!" for updates. 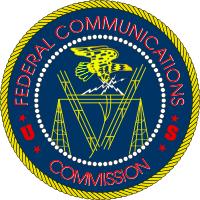 The FCC's Enforcement Bureau recently made public warning letters to several individuals for alleged infractions of the Part 97 Amateur Service rules or Section 301 of the Communications Act of 1934, as amended. On August 9, Special Counsel Laura L. Smith wrote Jack Hartley, K4WSB, of Tampa, Florida, citing evidence received from members of the Amateur Auxiliary (Official Observers) that Hartley had operated outside of his Advanced class privileges while attempting to work a station on Kwajalein Atoll in the South Pacific. "According to the OOs, the operator refused the contact noting that you were not authorized to be operating in the band," Smith wrote. "This was your 4th attempt to contact this operator. As a result of your three prior attempts to contact the operator, the OOs had sent you three OO advisory cards for out-of-band operation. Rather than sending you a 4th advisory, they contacted the Commission and asked us to remind you that your continued attempts to contact the operator on Kwajalein Atoll constitute a violation of our rules, as you are not authorized to be operating in that band." The three prior instances occurred in 2007 and 2008. Smith cautioned Hartley that continued operation outside the parameters of his license could lead to enforcement action that could include revocation or suspension and fines. "It could also jeopardize any attempts to obtain an upgraded Amateur Radio license," she added. On June 24, Smith sent identical warning notices to Eric J. Christianson, KNØCW, and Thomas E. Barnes, N7OVC, both of Reno, Nevada, to inform them that the trustee of the WA7DG repeater in Sparks, Nevada, had requested that they refrain from using his repeater. "The written request was issued as a result of your failure to follow operational rules set forth by the licensee/control operators of the repeater system for their users," Smith said. "The Commission requires that repeaters be under the supervision of a control operator and not only expects, but requires, that such control operators be responsible for the proper operation of the repeater system. Control operators may take whatever steps they deem appropriate to ensure compliance with the repeater rules, including limiting the repeater use to certain users, converting the repeater to a closed repeater or taking it off the air entirely." Smith advised the licensees that the FCC expects them to abide by the repeater owner's request and "any other similar requests to cease operations on any other repeaters by any other repeater licensees, control operators or trustees." She said continued use of the WA7DG repeater could subject them to "severe penalties, including license revocation, monetary forfeiture (fine) or a modification proceeding to restrict the frequencies upon which you may operate." On July 8, Smith warned James E. Richburg, address withheld and unknown, against unlicensed radio operation in the Amateur Radio bands. "It has come to the attention of the Federal Communications Commission that at multiple times in the last several months you have made radio transmissions in the amateur band, for which a license is required," Smith wrote. "You have no such license." Smith pointed out that operating transmitting equipment without a valid FCC license violated Section 301 of the Communications Act of 1934 as amended, "and may subject the responsible parties to substantial monetary forfeitures, in rem arrest action against the offending radio equipment, and criminal sanctions including imprisonment." All of Smith's warning notices concluded with this advisory: "Fines normally range from $7,500 to $10,000." Read more. The ARRL Executive Committee (EC) will face an agenda heavy on FCC and regulatory issues when it meets Saturday, October 5 in the Denver, Colorado, area. Among action items, the EC is expected to consider the filing of a Petition for Rule Making, now in draft, seeking to delete restrictions on symbol rates for data communication and to establish a 2.8 kHz maximum authorized bandwidth for HF digital data emissions. At its July meeting, the ARRL Board of Directors directed ARRL General Counsel Chris Imlay, W3KD, to prepare a Petition for Rule Making with the FCC seeking to modify Sec 97.307(f) to delete all references to "symbol rate." The Petition would ask the FCC "to apply to all amateur data emissions below 29.7 MHz the existing bandwidth limit, per Sec 97.303(h), of 2.8 kHz." The Board determined that the current symbol rate restrictions in Sec 97.307(f) "no longer reflect the state of the art of digital telecommunications technology," and that the proposed rule change would "encourage both flexibility and efficiency in the employment of digital emissions by amateur stations." ARRL CEO David Sumner, K1ZZ, explained the Board's action on symbol rate regulation in his September 2013 QST "It Seems to Us" editorial. The EC also will consider authorizing comments on an FCC Public Notice on recommendations approved by the WRC-15 Advisory Committee. The Committee will consider approving the filing of comments with the FCC that express concerns about expanding proposed radiolocation use of the 77.5 to 78 GHz band beyond on-vehicle applications to, for example, fixed roadside applications. The comment deadline is October 11, although the FCC shutdown may change that date. The EC also will continue to evaluate strategies to improve the FCC's Amateur Radio enforcement program and consider filing reply comments on FCC ET Docket 13-84, regarding a reexamination of RF exposure regulations (reply comments are due November 11, subject to the FCC shutdown). While the FCC proposals do not alter existing RF exposure limits, they do call for the elimination of existing special evaluation exemptions spelled out in Sec 97.13(c) of the Commission's rules. Minor rules changes adopted in the Report and Order section of the document took effect August 5. In addition the EC will discuss a manufacturer's proposal to delete Sec 97.317(a)(2), requiring that amplifiers operating below 144 MHz "not be capable of amplifying the input RF power (driving signal) by more than 15 dB gain." The Committee will consider whether to propose the rules change described. The EC will hear status updates on other regulatory matters, including the ARRL's Petition for Rule Making filed last November to create a new MF allocation for the Amateur Service at 472-479 kHz. The FCC's ET Docket 13-101 regarding receiver performance standards also will come up for discussion, as will pending amendments of the Amateur Service rules governing qualifying exam systems, Amateur Radio use of TDMA equipment, and remote proctoring of exam sessions. Other topics on the EC agenda for review include the FCC's proposed revision of Part 15 rules to permit unlicensed National Information Infrastructure (U-NII) devices in the 5 GHz band, the effects of communications towers on migratory birds, and amendments to the FCC's CORES system. There has been no recent FCC action on these items. The EC also will hear a report on the status of the effort to have the "Emergency Communications Enhancement Act of 2013" introduced in the 113th Congress. The objective of the League's draft bill is an instruction from Congress to the FCC to extend the existing limited preemption of state and local regulation of Amateur Radio station antenna structures to private land-use regulations. The International Amateur Radio Union (IARU) Administrative Council (AC) is looking into ways to work with non-IARU Amateur Radio organizations in countries where the IARU member-society may not be representing all of that country's hams. The issue came under discussion at the annual AC meeting September 21-22 in Cancun, Mexico. "For example, some do not participate in their regional organization activities, some do not pay their regional dues, some are unwilling to handle non-member QSL cards even on a cost-recovery basis and some even fail to respond to inquiries from their regional organizations," an IARU news release on the meeting said. 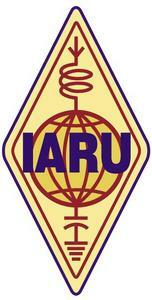 "In many of these countries, there are other non-IARU member-societies. The Administrative Council is studying ways to work with the non-IARU societies to ensure that the interests of all the amateurs are represented in those countries where the IARU member-society fails to do so." According to the IARU, possible solutions could include establishing communication with the non-IARU societies to allow input from the country's amateur community on IARU and amateur-related issues or by recommending the use of QSL bureaus that will serve all amateurs within a particular country. The AC is responsible for the policy and management of the IARU and consists of the three IARU international officers and two representatives from each of the three IARU regional organizations (Region 1, Region 2 and Region 3). reviewed IARU positions for World Radio Conference 2015 agenda items and future WRC agenda items and discussed the strategy for achieving IARU objectives at WRC-15. named David Wardlaw, VK3ADW, and Wojciech Nietyksza, SP5FM, as joint recipients of the Michael J. Owen VK3KI Award. Both have contributed time, effort, and expertise to the IARU for many years. The AC created the award to recognize individuals who best exemplify the dedication and hard work of IARU volunteers. adopted the theme "Amateur Radio: Your Gateway to Wireless Communications" for the next World Amateur Radio Day, April 18, 2014. The first IARU Region 2 Emergency Communications Workshop, held September 24-25 in Cancun, Mexico in conjunction with the IARU Region 2 XVIII General Assembly, explored international issues facing Amateur Radio's response to emergencies and disasters. Sponsored by IARU Region 2 and the ARRL, the event was co-chaired by ARRL Emergency Preparedness Manager Mike Corey, KI1U, and IARU Region 2 Emergency Coordinator Dr. Cesar Pio Santos, HR2P. Participants represented many nations within and outside of Region 2 -- Mexico, Honduras, Trinidad and Tobago, Peru, Chile, India, Australia, Canada, US, and Panama. Over the two-day session, attendees heard presentations that covered ITU response to disasters, technical innovations in disaster response, the IARU Emergency Communications Handbook project, and organizational updates. Attendees and presenters also took part in a tabletop exercise. Discussion inside and outside the workshop focused on several key points. There is a need for greater public education on the value of Amateur Radio. The general public as well as served agencies need to be aware of what Amateur Radio can do and why it is valuable. The IARU should consider approaching the ITU about developing partnerships with Amateur Radio equipment manufacturers to assist with the communications response to large international disasters. There should be more participation from young amateurs as presenters and attendees in international emergency communications workshops such as this and GAREC. Cross border cooperation and coordination of Amateurs should be encouraged. Along with this Amateurs need to be aware of cultural differences that may arise in international response. There is a greater need from served agencies for high-speed video, data, and high resolution imagery. More input is needed for the IARU Emergency Communications Handbook project. The long-anticipated K9W Wake Island DXpedition has been put on hold because of the US government shutdown, "pending a revised schedule," the organizers said in an announcement on the K9W webpage. The DXpedition was expected to kick off October 7 and continue until October 18. It depends upon availability of USAF transport aircraft, and flights are only every 2 weeks. "We will announce new dates for the DXpedition as soon as possible," the announcement continued. "Thank you for your patience and understanding." Fred Laun, K3ZO, who manages the NCDXA/ARRL Third Call Area Incoming QSL Bureau, advises operators who routinely send cards "via the bureau" to first check the DX station's QRZ.com or personal websites first to find out if the DX station replies to cards sent via the bureau. 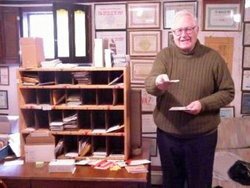 "Each month our bureau receives hundreds of cards for rare DX stations and DXpeditions who...state that they will not answer bureau cards," he says. "We recognize that one reason people use the bureau is that they don't have to check QRZ.com or another online lookup service before sending off the card." Laun says his bureau spends many hours each month redirecting such cards to QSL managers or to the station's own bureau, "and even after our efforts," he adds, "almost all of these cards will not be answered anyway." The 2013 running of Scouting's Jamboree on the Air (JOTA) is less than a month away. The 56th JOTA will take place the weekend of October 19-20, from 0000 local time Saturday to 2400 local time Sunday. JOTA gives members of the Boy Scouts of America a chance to experience Amateur Radio firsthand, perhaps planting the seed for a lifetime of hamming. But this year's running of the world's largest Scouting event will be the last for the crew at HB9S at the World Scout Bureau, which plans to move its headquarters next year. JOTA 2013 will be a farewell party for HB9S, with a special QSL card (QSL via HB9AOF). An international team of Scout operators, including PA3BAR, the World JOTA Organizer, will be at the station for the occasion. JOTA attracts nearly 750,000 Scouts, participating from 6000 stations in 150 countries. JOTA's goal is to foster Scout-to-Scout communication across borders, to allow as many Scouts as possible to talk to each other and learn about one another's activities and interests. The JOTA guidelines offer suggested frequencies and additional information. Effective October 1, Nate Brightman, K6OSC, has reluctantly resigned as the W6RO Wireless Room Manager aboard the Queen Mary museum ship, anchored in Long Beach, California. Brightman cited his recent illness and hospitalization and his advanced age -- he turns 96 on October 9 -- as reasons for his decision. Brightman was the W6RO Wireless Room Manager for 34 years, plus another 10 years arranging for the GB5QM "Last Voyage" Amateur Radio operation and establishing W6RO, the Associated Radio Amateurs of Long Beach club station. In a farewell statement, Brightman said ham radio operations now aboard some 90 museum ships such as the Queen Mary have introduced Amateur Radio to millions of people. "These amateurs give the public direct personal information on how Amateur Radio benefits the public," he said. "This means of introducing Amateur Radio to the public is the biggest publicity stunt ever for Amateur Radio, and we should be proud that it all started with W6RO!" Succeeding Brightman is his second in command, David Akins, N6HHR. Raleigh "Lee" Shaklee, W6BH, of Newport Beach, California, died September 23 following a brief illness. He was 91. Born in Iowa, he co-founded Shaklee Corporation with his father and brother in 1956 -- pioneering natural vitamin and nutritional products and following with an assortment of "green" household and personal products. Shaklee Corporation became a Fortune 500 company traded on the NYSE. The business was sold in 1989, and Lee retired. First licensed in 1937 as W6PQW, Shaklee says in his online biography that he got interested in DX and contesting the following year and began experimenting with Yagi-Uda antennas. World War II broke out while Shaklee was attending UC Berkeley; he joined the Navy and became involved with the then-cutting edge radar systems. He spent 2Â½ years in the Pacific Theater, where he contracted malaria, leaving the Navy in 1945. After the war, he resumed hamming, experimenting a lot on 10 meters with various antennas that combined driven and parasitic elements and with new AM techniques. He obtained W6BH in 1968, and in 1972, he co-founded and funded the Northern California DX Foundation (NCDXF). 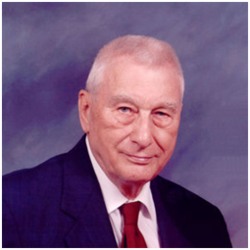 Warren B. Bruene, W5OLY, of Richardson, Texas, died September 28. He was 96. 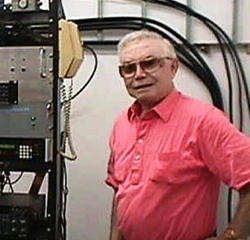 A pioneer in HF communication, Bruene worked closely with the late Art Collins, WØCXX, on many aspects of HF design during his 44 years with the Collins Radio/Rockwell Collins. "I worked at Collins Radio for many years and knew Warren," Earl Milliken Jr, WB5M, told ARRL. "He was very dedicated, intelligent, and a very quiet individual. He didn't 'blow his horn,' because he didn't need to. Everyone there knew he was an outstanding contributor to both the company and communications in general. The HF design world has lost an outstanding engineer." Bruene was a longtime member of the IEEE, the Richardson Wireless Klub, Collins Collectors Association and other organizations. He held 22 patents and authored numerous articles for technical publications. In the 1950s he designed transmitters for the Strategic Air Command and the Voice of America. He was recognized for his work with the Professional Achievement Citation in Engineering from Iowa State University. Services were October 3 in Texas. Dorothy D. Thompson, KF5IX, of San Antonio, Texas, died September 2. She was 95. Born and raised in China where her grandparents were missionaries, Thompson -- then Dorothy Davis -- came to the US and graduated from nursing school. After the Japanese invaded China, her family fled to the Philippines. She traveled to Manila, reunited with her parents and began working in a hospital there, but when Manila fell to the Japanese, she and her family found themselves in an internment camp. While there she put together a 60-bed infirmary, using her nursing skills to care for the captured. After nearly 2 years' imprisonment, she became gravely ill with rheumatic fever and was released with her mother in a prisoner exchange. Months later, and then a US Army Nurse Corps second lieutenant, she returned as one of the liberators of the POW camp. Reunited with her father and sister, she remained in Manila on a nursing assignment, going on to win the Bronze Star and earn a promotion to first lieutenant (and later to captain). Thompson later detailed her POW experience in The Road Back: A Pacific POW's Liberation Story. At about this time she met and married Jack Thompson, later N5GTJ (SK). 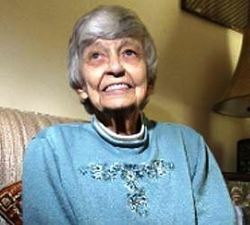 After a nursing career in the US, she retired as director of nursing at Methodist Hospital. She and her husband became avid RVers and extremely active with the Red Cross and the Military Affiliate (now Auxiliary) Radio System (MARS). She and her husband had been ARRL members. In the story "'Amazing Help:' Hams Play Critical Role in Colorado Flood Evacuation," which appeared in The ARRL Letter, September 26, 2013, we inadvertently swapped the call signs of Mountain Emergency Radio Network Volunteers Karel Kosman, KDØRFQ, and Steve Coles, KDØRFT. The story "National Silent Key Archive Includes Unique Call Sign Lookup" which appeared in The ARRL Letter, September 26, 2013, requires some amplification. The National Silent Key Archiveâ¢ of Amateur Radio Operators that Mike Carroll, N4MC, founded now includes the "Unique Call Lookup" utility, carried over from Carroll's now-defunct Vanity HQ web site. The Unique Call Lookup permits users to research the history of a given call sign. 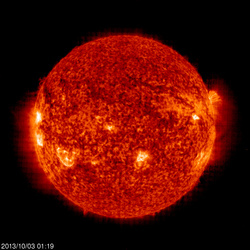 Tad "Sunshine on My Shoulders" Cook, K7RA, reports from Seattle: Solar activity weakened again, with the average daily sunspot number dropping from 75.6 to 52, and average daily solar flux down three points to 106.6, when compared to the previous week. Geomagnetic activity was up, with planetary A index at 39 on October 2, mid-latitude A index at 29, and the high latitude college A index at 64. The cause of the upset was a coronal mass ejection barreling toward Earth at 2,000,000 MPH on September 30, triggering a G2-class geomagnetic storm on October 2 and auroral displays well south of the Canadian border. In this week's bulletin look for an updated forecast, some reader reports and updated sunspot averages. I hope the flow of data does not end as the federal government shutdown continues.